The Raleigh Acupuncture erectile dysfunction treatment is safe and powerful. ED is more common than you may think. It affects men in their 40s, 50s and 60s quite frequently, as well as men in their 70s and 80s. Most of the acupuncture points we use are located on the arms and legs. We DO NOT use any points near sexual organs. The most powerful points for treating erectile dysfunction are located on the foot, ankle and lower leg. Our treatment safely restores your body’s natural balance, with absolutely no negative side effects. This video explains how acupuncture treats ED. 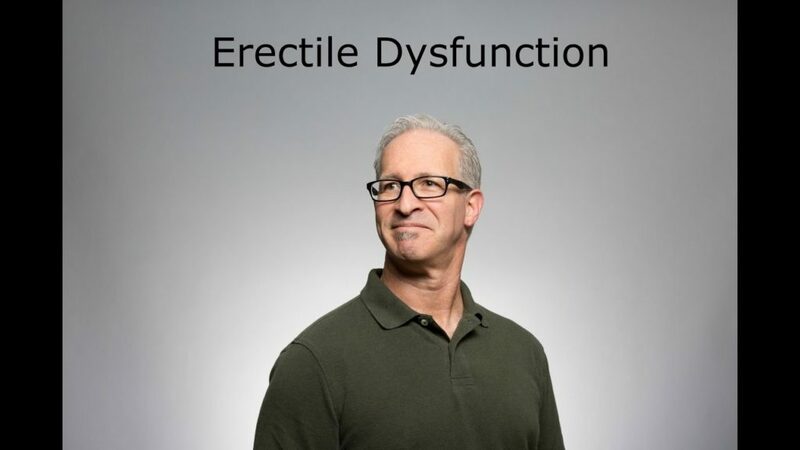 Erectile dysfunction (a.k.a. ED) is a condition where men have difficulty getting or maintaining an erection. It is a common condition that occurs in men age 40 and older. There are Western medicines available to help men with erectile dysfunction, but these only treat the symptoms and you must keep using the medicines each time. However, acupuncture treatment for erectile dysfunction treats the root cause of the condition and helps to restore your body to it’s original state. According to the Cleveland Clinic, as many as 52 percent of men experience erectile dysfunction, with it affecting 40 percent of men age 40, and 70 percent of men age 70. Men who have heart disease, diabetes and are taking certain medications have higher risks of experiencing erectile dysfunction. In Chinese medicine, all sexual function issues involve the Kidneys. However, when we talk about organ function in Chinese medicine, there is not always a direct correlation to the Western “anatomical” organs. Chinese medicine was developed thousands of years ago based on observation of how the body works. So just because you have erectile dysfunction, and therefore a Kidney deficiency in Chinese medicine terms, there is probably nothing wrong with your actual kidneys. Kidney function declines naturally with age. So if you have had normal sexual function your whole life, and in your late seventies you start having erectile dysfunction, that’s a normal result of the aging process. However, if you are in your forties or fifties and start having erectile dysfunction, this decline in Kidney function is not normal, and intervention is appropriate. There are three primary reasons why this happens. The first reason is stress. If you have experienced a traumatic event or if you live with a very high level of stress on a daily basis, it can often result in damage to your Kidney function. Stress literally depletes your organ function. In these cases, acupuncture for erectile dysfunction addresses both the stress function in your body along with strengthening your Kidney function. We use sterile, single-use, hair thin needles. You will hardly feel them. The treatments themselves are very relaxing. Many of our patients fall asleep during their sessions. Afterwards you will feel refreshed and rejuvenated. Results are long lasting. That’s because we treat at the root level, making substantial changes to the body and how it functions. If you have started to develop symptoms of ED, or if you have had it for years, you owe it to yourself to come in for the Raleigh Acupuncture erectile dysfunction treatment. It can help you regain your sexual function. There are no drugs involved and no invasive procedures. Acupuncture is gentle and has no negative side effects. Learn about other men’s health issues we treat by clicking MEN’S HEALTH ISSUES WE TREAT. For more information about all the conditions we treat click ALL CONDITIONS WE TREAT. Raleigh Acupuncture erectile dysfunction treatment works best. Safe, all natural, no side effects, long lasting results, restores sexual function. I’m 56 years old, a recent new dad. So I was surprised when I started having trouble with ED. When I mentioned it to my acupuncturist he said it could be treated with acupuncture. I let him go at it. He asked if I was getting less sleep with the new baby. I said, like hardly no sleep for the past 12 months. He asked if my hair was getting grayer recently. I said, just look and see for yourself. He said my sudden ED was from the stress on my body from lack of sleep and still having to work my full time job, and all the other things associated with having a new baby. My 56 year old body was not cut out to take this on without giving me a little trouble! So he treated me to make my kidneys stronger, and it really worked. My ED slowly improved over the next three months. I felt stronger too. I’m very grateful to Raleigh Acupuncture for helping me. I’m too young to deal with this. I had just returned from a tour of duty in Afghanistan. When I got home I was not able to get an erection. I’m in my mid-thirties, happily married. This had never happened to me before. However, my last tour was hell, and I had been having nightmares. My wife suggested I try acupuncture. The doctor at Raleigh Acupuncture said my ED was caused by the stress of my last tour. He gave me three treatments and I was good as new. What a relief! And the nightmares stopped as well. I had no idea stress could have that effect on my body. Thank you for your professionalism and good work.